Rocky Mountain National Park is an alpine climbing paradise. The Park has a number of options for everyone from the beginner climber to some of the most cutting edge alpine routes in the world. 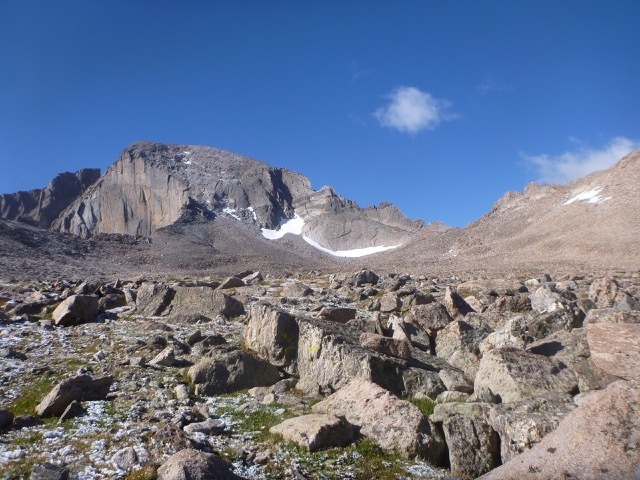 Rocky Mountain National Park features classic towers such as The Sharksfin and the Petit Grepon, as well as the more stout excursions on The Flying Buttress of Mt. 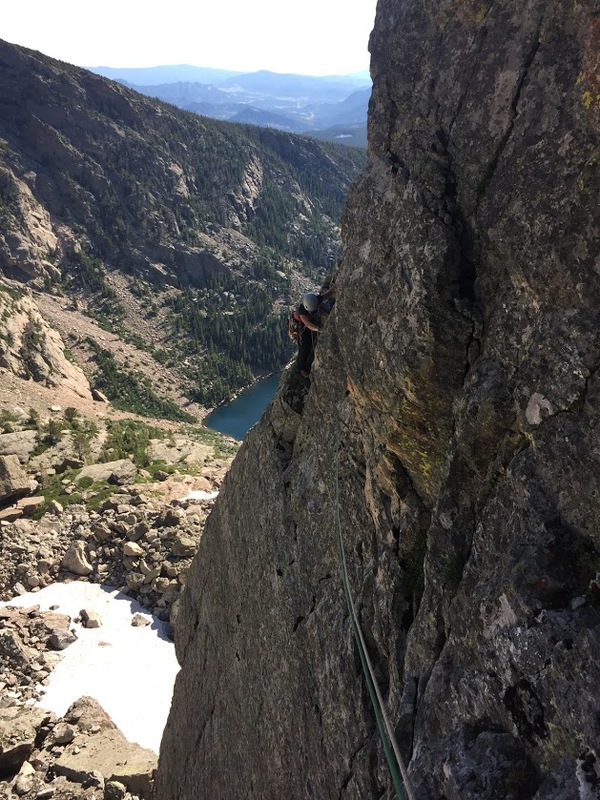 Meeker, the Culp-Bossier on Hallett Peak and the grandmaster of all alpine routes in the park, the Casual Route of the Diamond Face on Longs Peak. Let Colorado Wilderness Rides And Guides certified Rock Climbing guides show you some of our favorites. 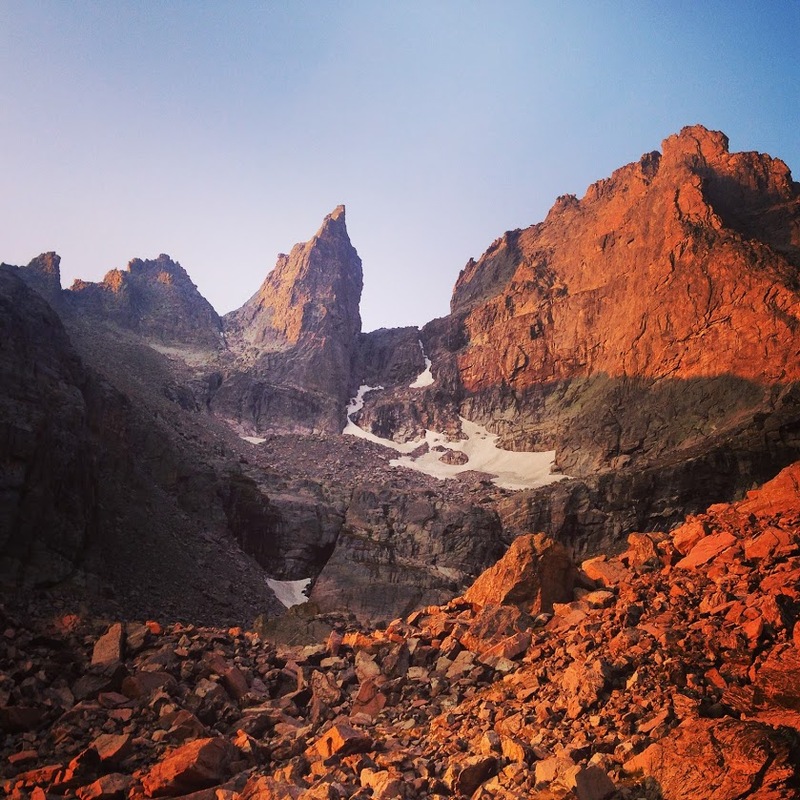 These are some of our favorite alpine climbs in Rocky Mountain National Park. 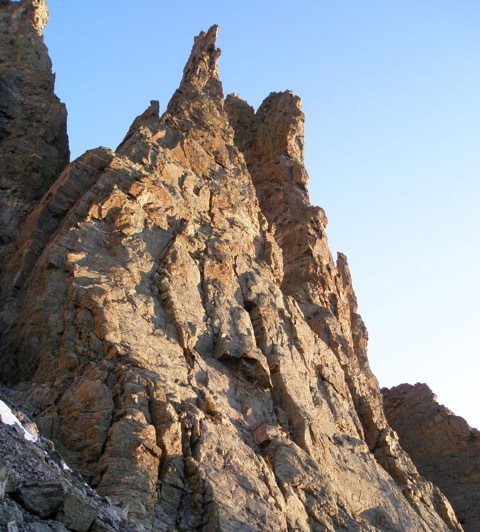 The Flying Buttress is one of Rocky Mountain’s most dramatic prows, with a challenging and unforgettable climb up a jagged buttress to one of the park’s seldom-climbed summits. 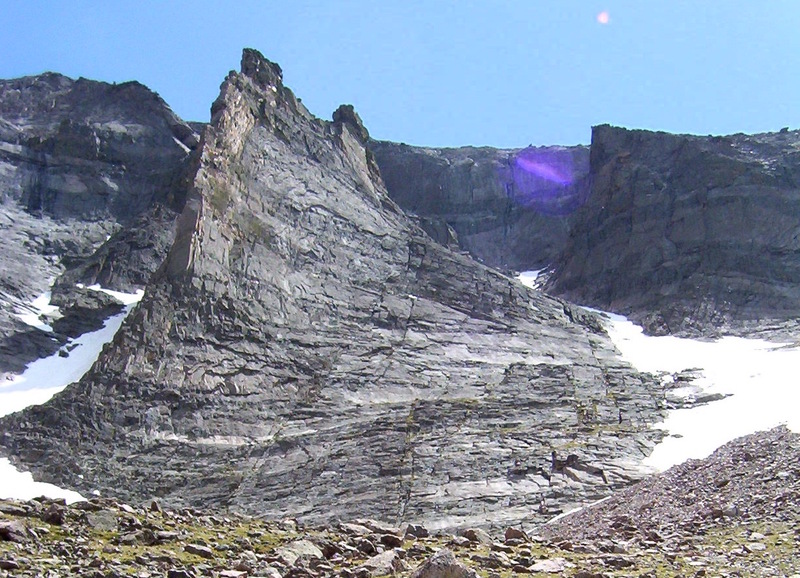 The Flying Buttress is unique in that it doesn’t have the tower–climbing characteristics of the other Rocky Mountain alpine climbs, but it follows a narrow ridge with tough 5.10+ moves such as fist cracks and dihedrals with scintillating exposure all the way to the summit, where you’re also looking over Longs Peak and the Diamond. With its ultra-classic reputation and stout climbing, the Flying Buttress is one of the legendary routes of Rocky Mountain National Park. The Culp-Bossier on Hallett Peak has consistently been named one of the best moderate climbs in the park. With superb face climbing, thrilling run-out 5.6 sections, route-finding challenges, and sturdy alpine rock that goes up to a 5.8+ grade. The main feature is the overhanging crux almost 700-feet off the deck. The route features exciting thin cracks, dihedrals, face climbing, and roofs. With short airy sections, sustained moderate climbing, and a magnificent view from one of Rocky Mountain’s most iconic peaks, the Culp-Bossier on Hallett Peak is one of the moderates in the park. This is it. This is not only one of the most famous routes in the park; it’s one of the most famous climbs in the world. The Casual Route on the Diamond goes up to 5.10 above 14,000-feet, with all the exposure and weather that comes with a high alpine route. 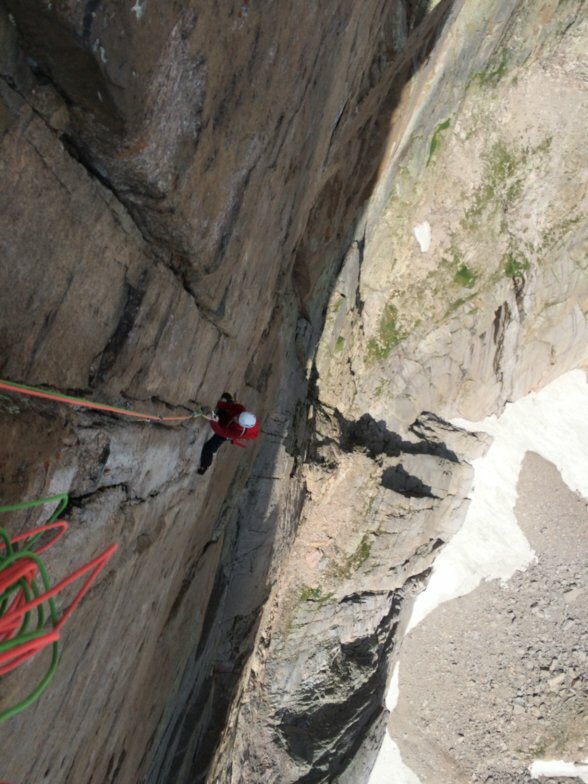 The route follows cracks, chimneys, dihedrals and spectacular alpine terrain. This is one of the few alpine in the routes in the world that starts so high. Along the way there are breathtaking views over Rocky Mountain National Park including Mt. Meeker, Chasm Lake, and the surrounding massif looking across the Front Range. This is one of the world’s premier rock climbs and for those who are looking for one of the ultra-classic routes, it’s not to be missed.